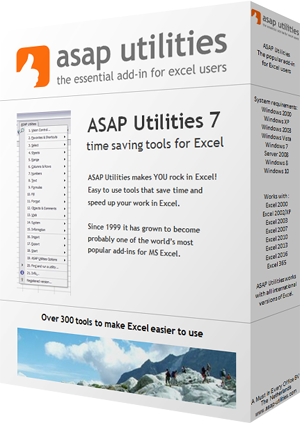 This utility helps you to quickly fill the selected cells with a series or numbered list. The utility is flexible and offers several options to choose from. · The number to start with. · The number to increment with. · Restart counting after a certain value. · Fill up the numbers with leading zeros to a specified length. Create a series based on the letters from alphabet in lowercase (a, b, c, etc.). Create a series based on the letters from alphabet in uppercase (A, B, C, etc.). You can specify to restart the counting if the value in a certain column changes. You can use this for example if you have a list with city names and you want to restart the counting when the name of the city changes. You can also specify to put the value of the changing column in front of and/or after the value in the series. You can add a value in front of and/or after each value in the series. This way you can for example create series with week numbers and add the text 'Week ' in front of each value in the series. You can specify the cell alignment. By default you can start this utility with the shortcut Ctrl+Alt+Q.